The main ritual of the Wedding is performed in a Mandap. It involves the saath phere, the applying of the sindoor, and many more necessary actions. A Mandap is a small four-pillared stage, that includes the Bride, the Groom, their families, and the Pandit involved in making all the rituals happen. One of the best to work with can be Rama Events, as they are trustworthy and do a really great job. Have an amazing Wedding with the best Mandap, and make sure you are smart enough to select the best decorations and other needs for the same. If your Wedding has a theme and your Mandap is not decorated as per it, don’t you think it would look totally out of place? 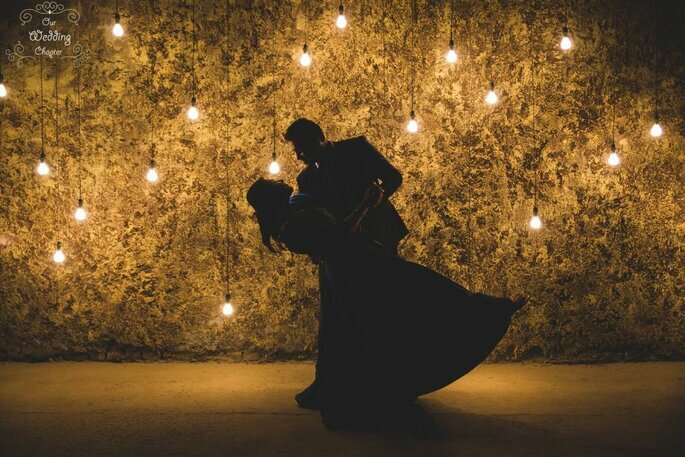 Most of the Weddings nowadays have themes, that never fail to attract people to attend them, and it creates an amazing memory for the Bridal couple themselves. What Can be the Themes for Your Wedding might help you out with some ideas. Like for an example, if it is a beach wedding, then you can have a flowery Mandap. You can also get ideas from How to get floral inspiration for your wedding! for a beautiful Mandap. You can finalize the style of your Mandap according to the theme of your Wedding. 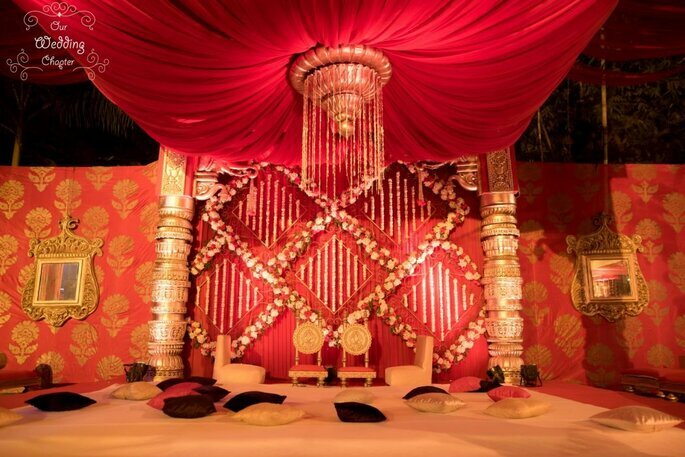 The color scheme is the most important in the Mandap, as it should look the best. You can always look up on the internet and find out some crazy yet amazing designs and patterns for your Mandap, before talking to your Wedding Planner, so as to have a faint idea about the same! 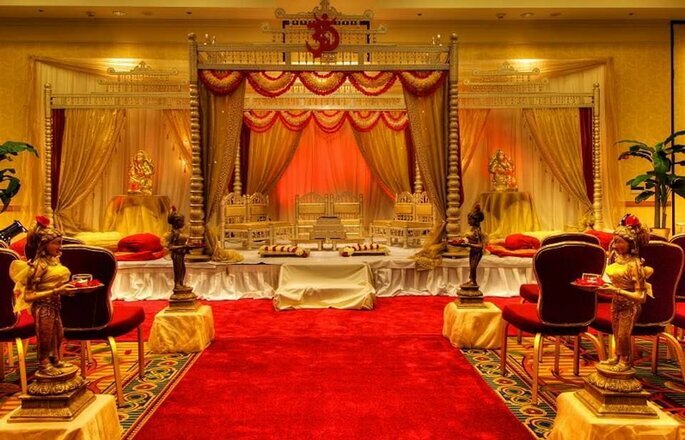 There can be two types of Mandaps; indoor Mandap and outdoor Mandap. Indoor Mandap needs proper ventilation, as the ritual consists of fire, which results in heavy smoke. So, to avoid providing inconvenience to the guests and the family members, proper ventilation is much needed. Outdoor Mandap does not need anything of this sort, as it is outdoor, it has natural ventilation! You would obviously be knowing before-hand about the number of people who are going to sit with you in the Mandap during the main ritual. It basically sums up to around 10-12 people which includes the Bridal couple’s family, the Pandit, and most importantly the Bridal couple! So, the Mandap should be sized up according to the number of people present there, so that no body is left out, and so that there is enough room for everyone! With many people present at your Wedding, it is necessary for you to make sure that they can see you well enough, while you are officially welcoming each other to the family. Low lighting can make the atmosphere seem really dull and it would not sum up to an amazing Wedding, as per the guests. So to be the best, make sure that there is proper lighting in the Mandap, so that people who are sitting far away and view you properly, and bless you. There are many elements that can be used to decorate the Mandap very beautifully. Some of them can be flowers, silk or satin fabrics, candles, and what not. Every small thing can make the Mandap look just too beautiful. Attractive Mandaps always leave a good impression in the guest’s mind, and they will remember you and your creativity when they talk about the same! The most important factor to choose anything depends up on the cost that you have planned for the same. Mandaps being the main area of the Marriage, cost a lot due to the extra decorations required in it. If you don’t choose right, there are major chances of you to end up spending extra and a lot of money on it. 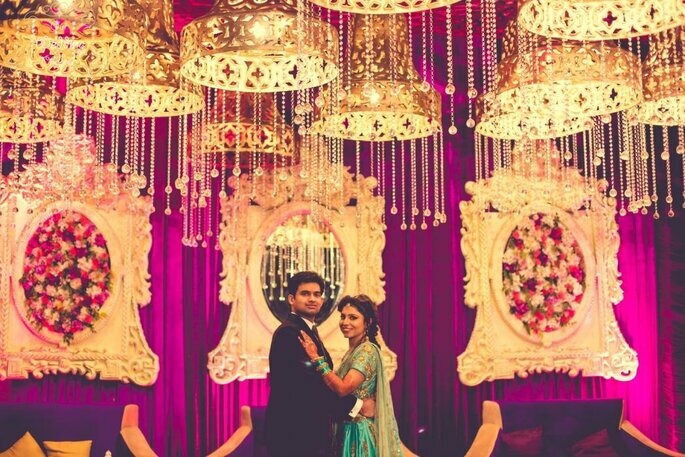 So, make sure you are choosing the right things for your Mandap, but under the budget! As the most important ritual happens in the Mandap, shouldn’t it be the best? It is normally the center point of attraction with the best decorations in the entire Wedding. So, choosing the best Mandap design is really important for your Wedding, and especially the one that matches your taste and the decorations of the entire Wedding place! Before talking to the Wedding Planners, you must be clear about what you exactly want the Mandap to look like, to avoid last minute changes followed by tension and stress! All the best!